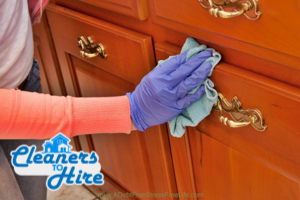 When it comes to professional cleaning services, Cleaners to Hire is definitely the company to turn to in your time of need. We have been providing professionally tailored, high end sanitation services all over town for years now and we know the job inside out. There is no job that is too big or too small for us and we are ready to get down to the project that you have prepared for us at any time, even it is in just a couple of hours. Our services are suitable for domestic and commercial clients alike. The type of property that you want us to sanitize is of no importance. What counts is the results that we need to achieve in order to satisfy you fully, and we can assure you that there will be no problem with that – our impeccable track record comes to guarantee this. 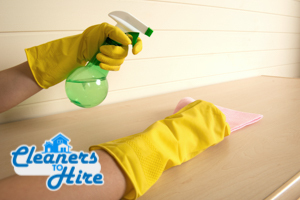 Cleaners to Hire is a company with a very long history in providing high end professional services. Thousands of people make use of our expertise in the field every year and we have received positive feedback from all of them. Actually, a pretty considerable portion of our business as of today comes namely from recommendations, which in our opinion speaks volumes about our qualities and expertise. The only thing that you have do to in order to get the professional teams that you need and want is pick up the phone. Our helpful and very polite customer support is going to take things in their hands from there and they are going to look after your comfort and peace of mind. You can also request a free no obligation quote for the full price of the cleaning service you are going to receive from us by filling out our contact form. Thus you will see how competitive our prices really are, and be able to properly consider your budget in advance.